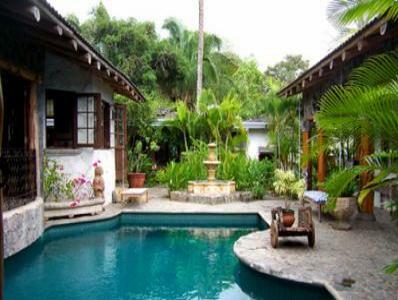 The Most Elegant Private Beachfront Home in Jaco. A large pool located in the midle of the Villa. a freeform tile swimming pool. private setting overlooking the ocean. materials to compliment the surrounding beaches and rain forests. biking, scooter rentals, motor bike rental. over 100 international restaurans, etc. $700 per night regular rate. $1100 per night Christmas season.